San Francisco is filled with magic. It’s also filled with a lot of human feces, some yuppy tech-stars, and plenty of weirdos. But more importantly, it’s filled with a lot of love, and it’s the best place to be alive. Through my six months of living here, I have found a new family. I have a new support system that I cannot imagine living without. I have my cousin/bff/twin Shonna, my adopted uncles Nico and Jorge who live in my uncle Jeremy’s old house, my coworker Kim who gets the pleasure of spending 50+ hours a week with me, and countless friends who eat with me, laugh with me, and make plenty fun of me. I am lucky to have made so many new friends in such a short amount of time here. Through Lyft lines, days in the park, apartment hunting, or walking on the street, I’ve made so many new friends. Never underestimate a stranger. They can wonderfully change your life. You could date one, live down the street from one, or become their coworker. Miraculous things happen when you try new things. Your world is as big as you make it and I still have so many people left to meet. 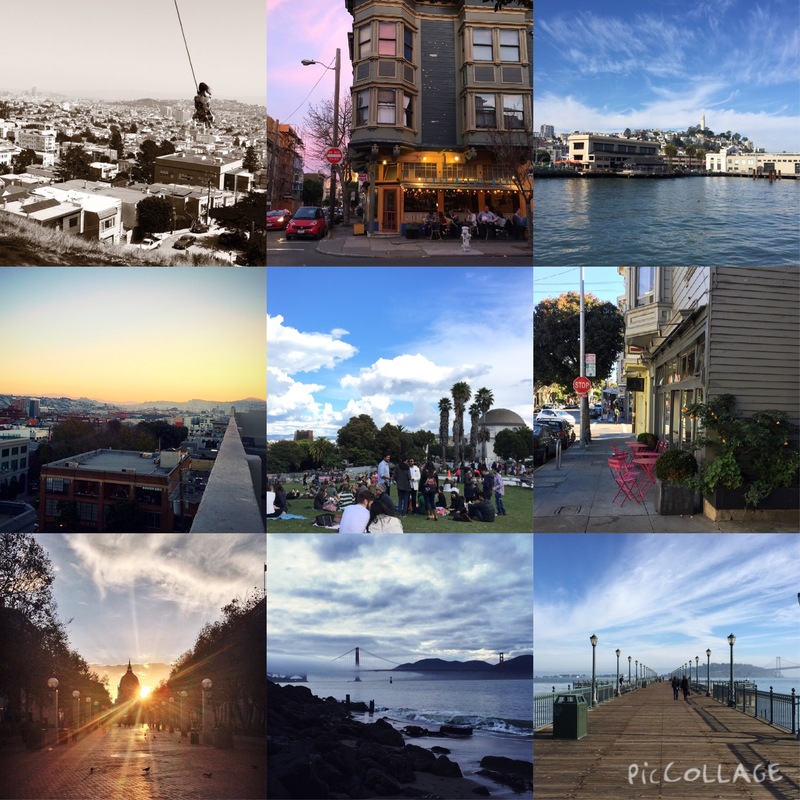 San Francisco is my heart, my home, my love. My long term relationship with San Francisco continues. Happy 6 months to us! Have you found your magic yet? Dear Sasha, How fabulous! Thank you for sharing your love affair!! Will look forward to visiting you, hopefully sometime soon, and having you show me your new love and friends. Karen Yesterday, in Prospect Park near us…a solid snow field! p.s. Was this a typo? !